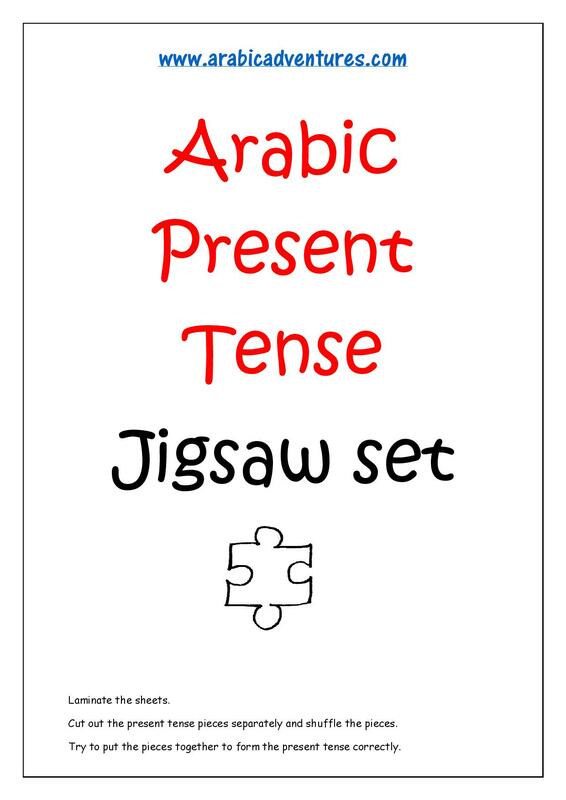 Here is a jigsaw type activity that I have put together to help the girls review Arabic present tense conjugation parts. 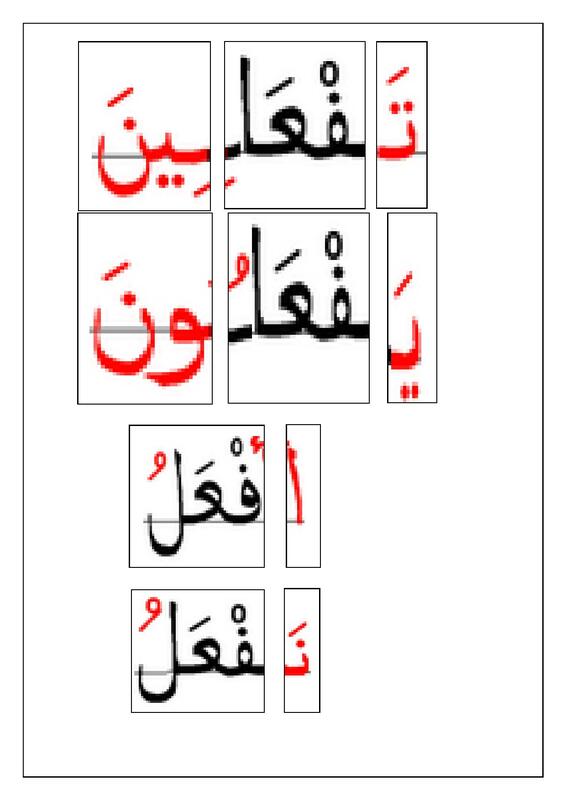 To help them see the different parts that make up present tense for each subject pronoun. Laminate the sheets and store in a sealed bag and re-use as needed. I’m going to make this a pair activity so I will only need half the number I would’ve needed. 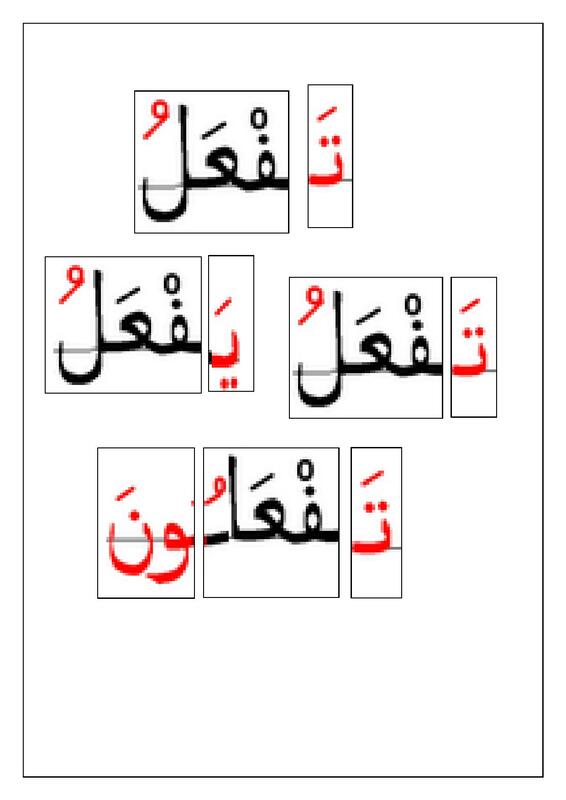 This entry was posted in Arabic Grammar, Arabic worksheets, Games, Juz Amma and tagged activity, arabic, arabic flashcards, arabic game, arabic games, arabic grammar, arabic grammar review, arabic jigsaw set, Arabic Language, Arabic lessons, Arabic present tense, arabic printables, arabic pronouns, Arabic verbs, arabic worksheet, Fi'il mudari', Qur'anic, Qur'anic Arabic, Quran curriculum, quran syllabus. Bookmark the permalink.